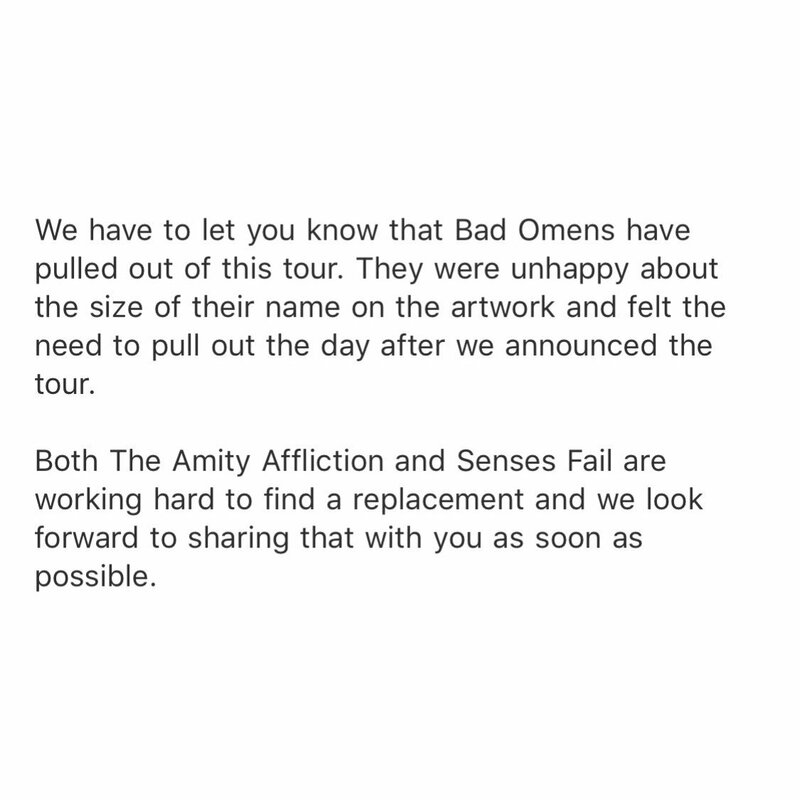 - Bad Omens drops off the Senses Fail/Amity Affliction/Belmont tour for their name being too small on the flyer. - Kevin Devine and John K. Samson will be releasing a split 7" on November 30th. You can hear Samson cover "Saturday Night On Utopia Parkway" now. 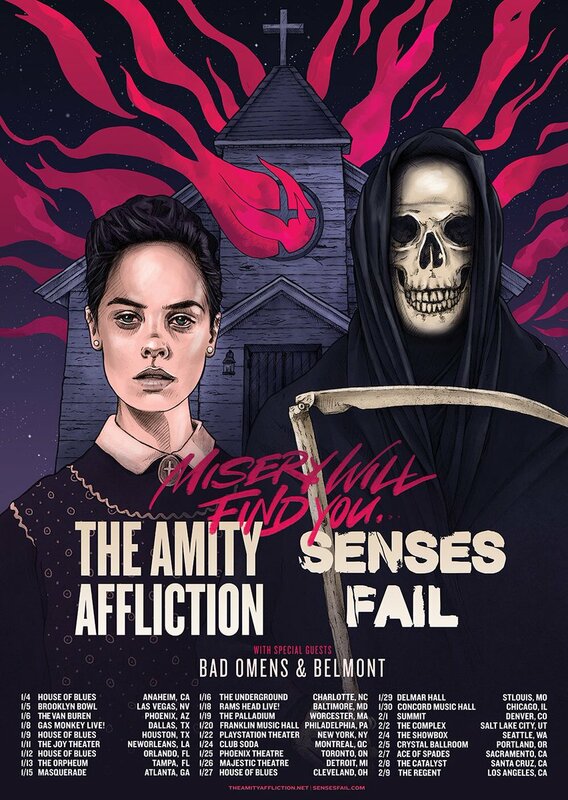 - Hear a new track ("Burn It") and pre-order the new record (Strength in Numb333rs) from The Fever 333. 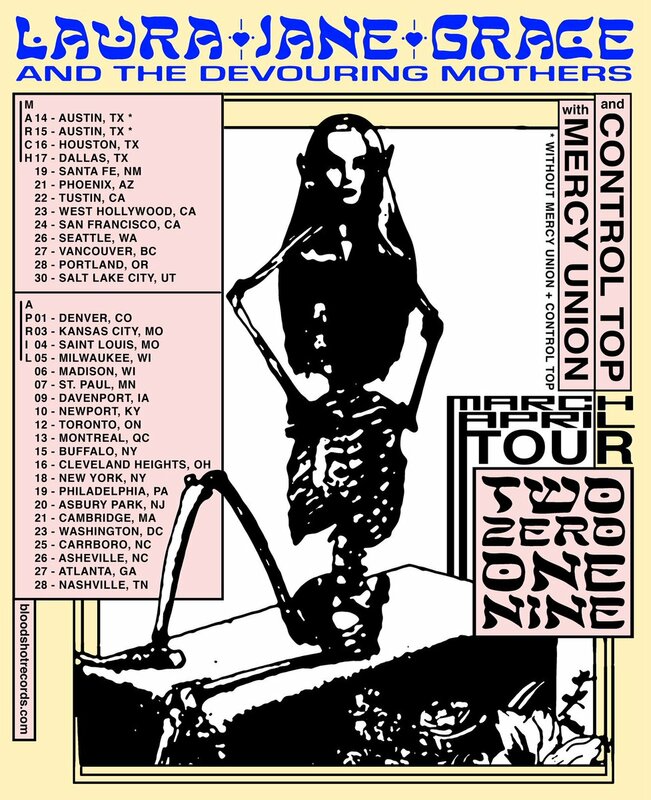 - Laura Jane Grace and the Devouring Mothers are hitting the road in March/April! - Capstan sign to Fearless Records, put out "Stars Before the Sun". - As Cities Burn sign to Equal Vision Records, put out "2020 AD". - The Maine put out their cover of "Transatlanticism", part of the Songs That Saved My Life compilation put out by Hopeless Records.